The Director’s Cut Awards, an industry awards event put on annually by the Korea Film Director's Network, held their show this year on December 14. 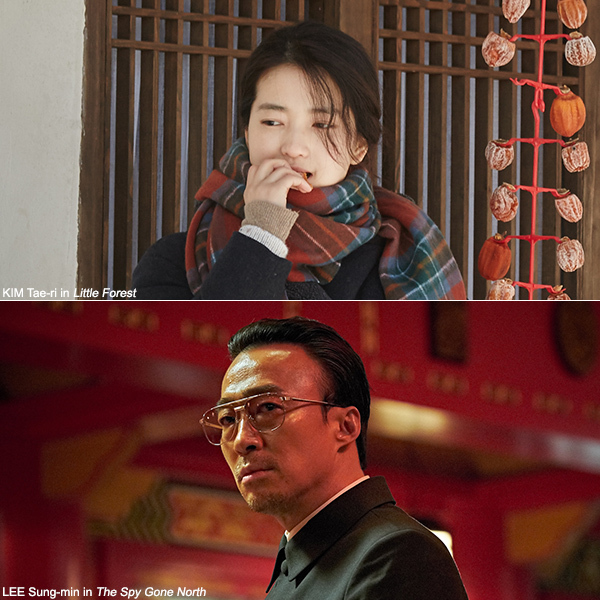 KIM Tae-ri of YIM Soon-rye’s feel good drama Little Forest was handed the Best Actress Award while LEE Sung-min, playing the conflicted North Korean official in YOON Jong-bin’s acclaimed period espionage yarn The Spy Gone North, took home the Best Actor Prize. Adding yet another accolade to his trophy chest was JANG Joon-hwan, who was honored by his peers with the Best Director Award for his hit period protest saga 1987: When the Day Comes (2017). The Best New Actress Award went to KIM Da-mi for her debut performance in PARK Hoon-jung’s action mystery-thriller The Witch : Part 1. The Subversion. DOH Kyung-soo (aka D.O. of K-pop outfit EXO) won the Best New Actor accolade for his part in the hit fantasy epic sequel Along with the Gods: The Last 49 Days. KANG Yun-sung was recognized as Best New Director for his gritty crime action-drama THE OUTLAWS, the top Chuseok holiday hit of 2017. Meanwhile, KIM Ui-seok, the director of After My Death, the New Currents Awards winner at the Busan International Film Festival in 2017, walked away with the Vision Award. Finally, the Best Screenplay Award also went to 1987: When the Day Comes, for screenwriter KIM Kyeong-chan.